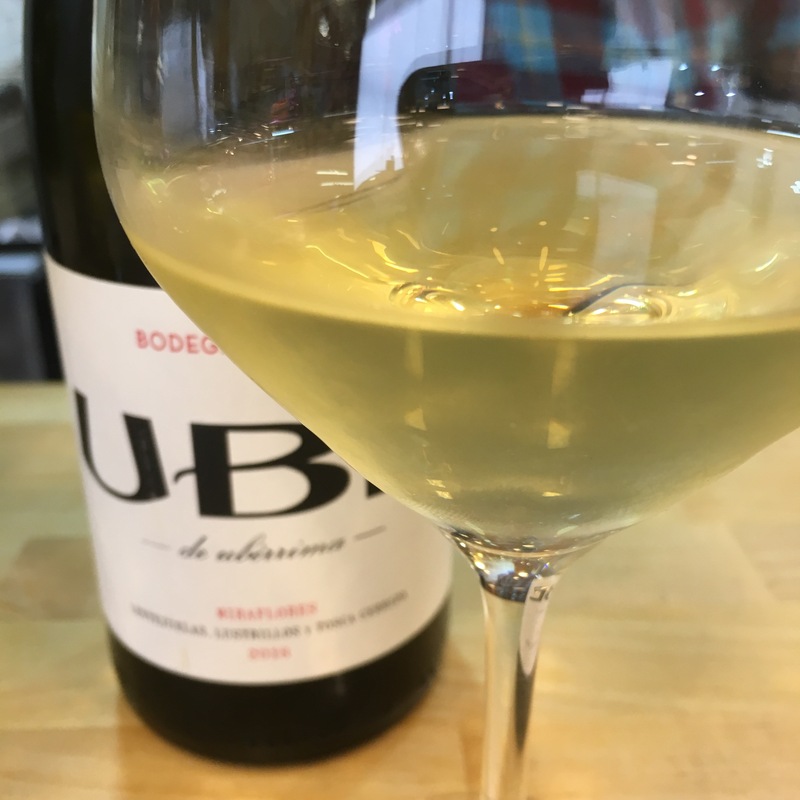 UBE (de Uberrima) is the white wine brand of Ramiro Ibañez’s Cota 45 and he now boasts not one but two wines, shortly to be three. What they have in common, and this is no surprise coming from the creator of the Pitijopos and the manzanilla de añada, amongst others, is their focus on expressing vintage and terroir. Unfortunately they also have in common the fact that production is tiny: 1,000 bottles of each of the Carrascal and Mahina, 3,000 of this Miraflores. The wine itself starts off as austere with minerals and then grows with herbal, vegetable characteristics. As you can see it is a pale, slightly greenish straw in colour. The nose is austere and mineral first with some savoury stewy herbs in the background like a kitchen far away. On the palate it is fine in texture, nice acidity first up and after that fresh start rather than fruit there is a herbal, almost meaty (in flavour) sapidity to it, fading to a fine finish with lots of minerals. By comparison to the Carrascal 2015 (a different vintage and pago and a year longer in the barrel) it maybe has a touch less mineral edge, but even so it is a serious, mineral wine and no shortage of flavour.